Supermassive black holes can generate massive outflows of gas as they grow. These outflows were believed to have a significant effect on the black hole’s host galaxy until an outlier was found. ESA/AOES Medialab. In recent decades, astronomers have discovered a supermassive black hole in the center of every large galaxy we see — including our own. They’ve even observed several apparent connections between the mass of the central black hole and the properties of the galaxy in which it resides. Such connections have led to theories that galaxies and their central supermassive black holes evolve together somehow, but recent findings have just thrown a wrench in that particular idea. A team led by Yoshiki Toba of the Academia Sinica Institute of Astronomy and Astrophysics has used the Atacama Large Millimeter/submillimeter Array (ALMA) to observe a set of dust-obscured galaxies (DOGs) that give off bright infrared emission. DOGs are believed to harbor black holes currently undergoing growth spurts, which typically spur outflows from the region around the feasting black hole. In one such galaxy, WISE1029, they observed that carbon monoxide (CO) gas in the galaxy’s disk, a crucial star-forming ingredient, was not affected by outflowing ionized gas (gas whose atoms have been stripped of electrons by strong radiation) from the central supermassive black hole. 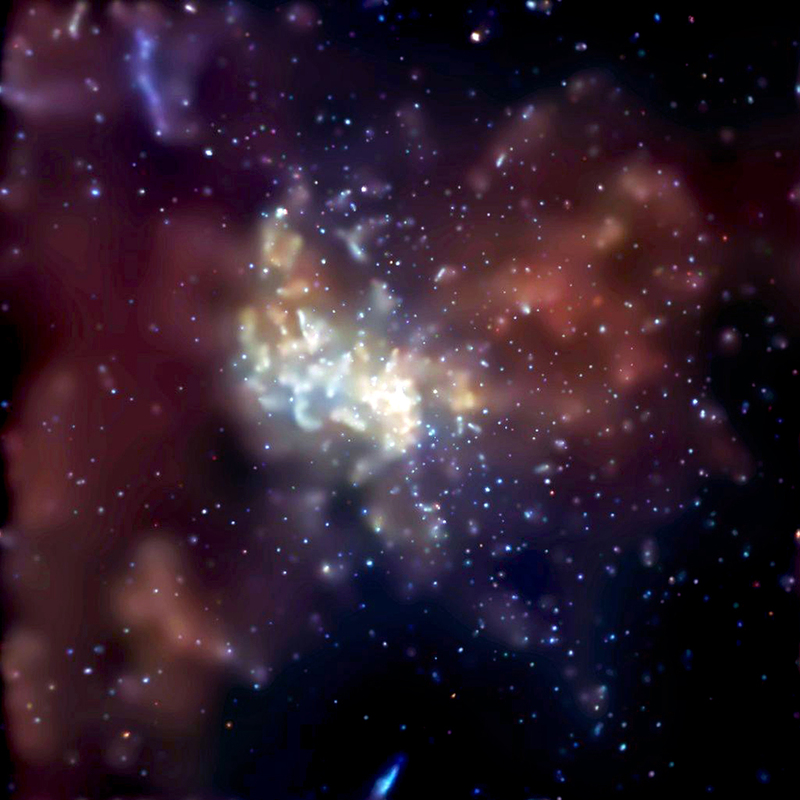 The total lack of a connection goes against current theory, which states that outflows should affect such star-forming gas, either by activating star formation or by stopping it. Their result was published December 18 in The Astrophysical Journal. 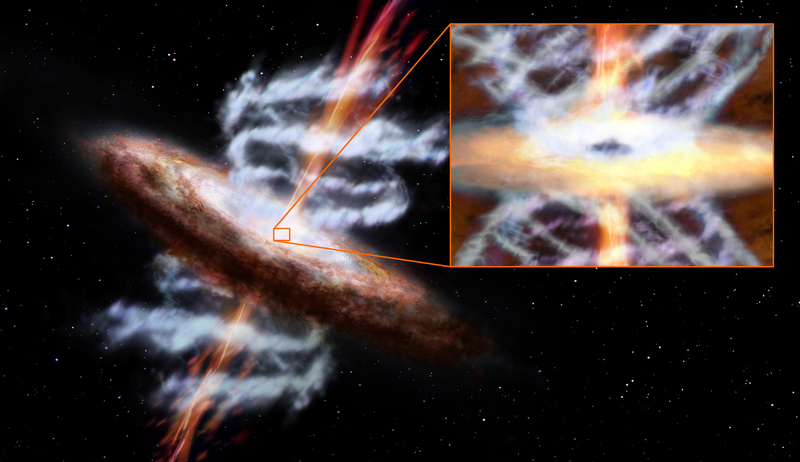 Emission from WISE1029’s carbon monoxide (left) and cold dust (right) shows no disruption associated with an outflow from the galaxy’s central supermassive black hole. ALMA (ESO/NAOJ/NRAO), Toba et al.